HTML5 Music Player is a jQuery plugin which allows you to play audio files. drPlayer is simple and free jQuery plugin for creating MP3 playlists. 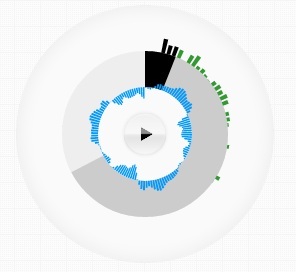 You can easly use CSS to style up this simple player by change of simpleplaylist.css or define it in your CSS files. SoundManager 2 gives you a single, powerful API that supports both new and old, using HTML5 audio where supported and optional Flash-based fallback where needed. Ideally when using SoundManager 2, audio "just works." A complete HTML/CSS audio/video player built on top MediaElement.js and jQuery. Many great HTML5 players have a completely separate Flash UI in fallback mode, but MediaElementPlayer.js uses the same HTML/CSS for all players. A jQuery plugin to autoplay "I Wish" by Skee-Lo for <audio>-tags with undeclared src atributes and <source>-tags. Please find me a audio video plugin without using html5. Thanks in advance.